If You Are Looking For Some Original Toys And Card Games You Came To The Right Place! These Great Haunted Card Games Are Right On The Ball! Spirit Of The Séance This Eerie card game allows you to speak to the dead and contact lost spirits in this heart stopping, spine tingling game of chance. Put away your Ouija boards, these spirit cards are all you’ll need to conduct your own professional séance. High Priestess, Marie Carew has released these paranormal tools to release the souls of those trapped inside the fourth dimension. Keepers Of The Realm Tarot Deck -The Tarot cards I use are my own creations. After consulting with my clients and several Tarot readers concerning the authenticity of other Tarot decks, I took the standard 78 card tarot deck and turned it into an 89 card deck writing the meanings on the back of each card to enable them to be clearly understood. The cards consist of 4 houses: wands, swords, cups, and pentacles within the Major and minor Arcana. Added to the major Arcana are my own cards: the musician, the artist, the dancer, the writer, ocean life, the ghost, and fate. Reading the Tarot can be a very difficult task. The deck I designed is for the beginning reader to enable them a chance to get familiar with the cards without using an instruction book. Witches Coven - Relive the Barbaric days of England and old New England as you race against time to save your coven of witches from persecution in this fun spell casting game of adventure and intrigue. Success or Screwed - This is a great Parlor game for all those looking to get ahead in life. All you must do is collect the five life cards to win! Wealth, Success, Opportunity, Connections and Luck. Raise The Dead - This was a game I created from the memories of my childhood’s favorite game “Dark Shadows” The first one to build a skeleton and save a lost soul wins. 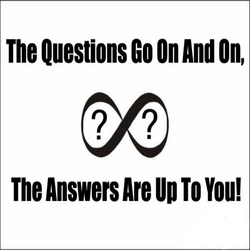 Questions For The Universe - A Fortune telling game for Christians. Ask the universe a question and start your journey to a better understanding of life. “Ask Grace” - This is a fun filled deck of fortune telling cards using my own Psychic pseudo name of Grace Prophet. Ask Grace a question and find out your destiny in life! Notorious - Cops and Robbers has never been more fun! The one who eludes the police and commits the most crimes wins! One Thing I love To Do More Than Anything Is Toot My Own Horn! Since developing my psychic awareness and living as my spirit self, I have become more creative in my talents and skills. Besides, being an author, artist, songwriter, poet and craftswoman, I also LOVE making toys! Meet The Groove Dudes, What's Your Groove ? Whether you’re happy, angry or blue. waiting to share it with you. There’s a Dude for every mood. A Blue Groove Dude when you’re feeling sad. Each Set Of Groove Dudes Comes With An Original Comic Book Of Groove Dude Adventures. The fun starts when work is over and it's time to play! Keeping our imaginations open and active helps us to stay young mentally when we have no control over our physical humanforms. so stimulate your memories back to simpler times and act like a child again! I have been collecting toys since my childhood.Toys date back to prehistoric times and to this day archeologists are finding wood carved dolls animals and soldiers, at archaeological sites around the world. The origin of the word "toy" is unknown. Toys and games provide non violent, non offensive family entertainment for all ages and they are also a great therapeutic way to involve a human being in a fun activity that they will enlighten their minds while healing their emotions. Who doesn’t love the comfort of a stuffed animal in their arms or a baby doll that they can comfort and care for? The fact is, toys keep our imaginations alive. So let us entertain you with this truly spectacular display of original toys and card games! To Continue Touring The Museum, Click On The Sign Below.